There are no surviving records to show when Wilfred enlisted at Exeter. From the following account of the formation of the Royal Tank Corps he may have first joined the Machine Gun Corps. 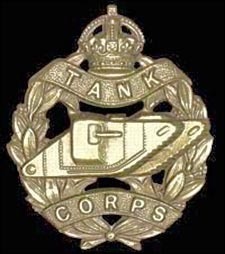 The Tank Corps was formed from the Heavy Branch MGC on 27 July 1917 and the Battalions adopted numbering rather than letter designations (although tank names followed the same lettering: for example, 7th Battalion tanks were all named with a letter G, like Grouse, Grumble, etc.) Each Tank Battalion had a complement of 32 officers and 374 men. Sadly, the tanks deployment in the Third Battle of Ypres (July-November 1917) proved to be another slog through deep mud. The area became a tank graveyard as machine after machine ditched in deep trenches and shell holes, sank, stuck and was shelled. The action has been described in some detail in the Passchendaele Archive (see refs). Wilfred Claude Williams died on the first day of the third battle of Ypres which lasted until November 1917 and became known also as the battle of Passchendaele. Wilfred C Williams is recorded on the Devon Roll of Honour. Wilfred Claude Williams was the son of John and Bessie Williams. The common name of Williams makes a certain identity difficult but the marriage of John Williams (1870-1898) to Bessie Slocombe (1870 - ) is linked to the Baptism of Wilfred Claude Williams in St Mark’s Church, Dawlish (since demolished) on 4th March 1897 where the father, John, is described as a Grocer and the mother is Bessie. Wilfred was born in his mother’s home town in Jan-March quarter of 1897. After the death of John Williams, Bessie can be found in 1901 with her son at the home of her sister Annie and brother-in-law, Alfred W Lane, at 39 Fest Road, Kingston-upon-Thames. Hairdressing is a mobile occupation and they may have moved back to an area that he knew well from childhood. They had four children and Bessie was there with Wilfred Williams, 4, nephew to the Lane family. In 1905 Bessie Williams married once more to Charles Christopher Pound, another hairdresser conducting his business at 17, the Strand, Dawlish. It would appear that Pound had been married previously. Charles Pound, 48, hairdresser (born in Torquay), Bessie Pound, 38, Wilfred C Williams, 14, step-son and apprentice hairdresser and Cyril W Pound, 4, son born in Teignmouth. For greater detail see Documents, below.